Dr. Sheblé has more than 42 years of industrial experience as a consultant, expert witness, and of academic experience in the United States and Europe. He has led research, development, and implementation for power system operation and planning using classical analysis and computational intelligence for adaptive agents. Dr. Sheblé is an internationally recognized expert in the area of electric energy auction markets, capital budgeting, power system analysis, and real option valuation. He is nationally recognized as one of the leading business experts on business trends within the utility industry and on trends forced by internal and external economic drivers. His expertise extends from smart grid, phasor measurements, data mining, power system optimization, electric energy market modeling, energy and emission management, control automation for distributed generation and storage, technology innovation, bulk power operations, generation and transmission planning, operator training, energy risk management, distribution operations, energy management systems, supply chain management, demand response strategies, settlement systems, to portfolio decision analysis of interchange contracts. His academic work concentrated on developing concepts, methods, and products for re-regulated operation, market analysis and design, equipment scheduling (especially unit commitment), transaction evaluation, reliability analysis by decision analysis, Monte Carlo simulation, failure tree analysis, market simulation and energy economics, decision analysis, real option valuation of renewable energy equipment. He pioneered structure and market definition predicting successful industry re-regulation. He is an Associate Editor of IEEE PES Magazine as Business Scene Editor. His columns are frequently highlighted in respected trade journals for industry innovations. He has been a guest/contributor at over 50 specialized workshops/courses throughout Europe and North America in over 24 countries. He has recently been an expert witness on electrical accidents, deficient project management, grounding, and intellectual property rights. 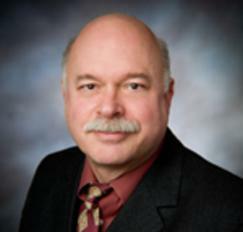 He has been an expert witness on software engineering, software business planning, and industrial trends. Doctor Sheblé has published over 150 papers, 50 research documents, 15 book chapters, 3 books, 9 eLearning modules, 85 seminars, and 10 news interviews.